Dozens of foreign students claim they were misled about the chance to extend their stays in Canada, and are now struggling with looming deadlines for when they could be forced to leave the country. 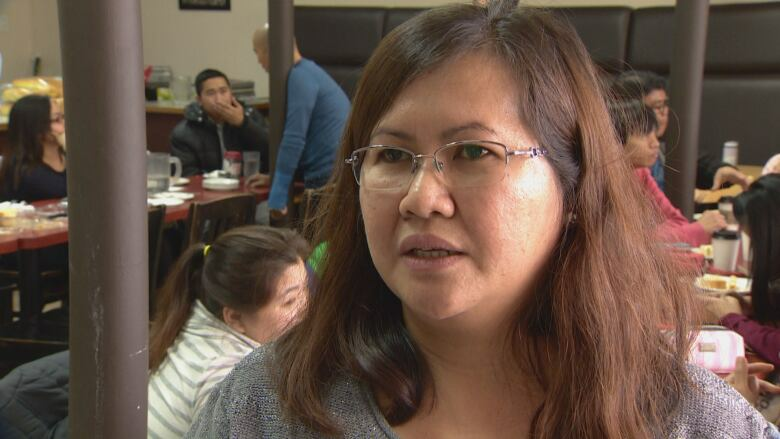 Migrante Alberta, an immigrant advocacy group, says about 80 students enrolled at a private college in Edmonton over the past two years, thinking they could apply for a post-graduate work permit after completing a two-year diploma. But private institutions are largely ineligible for the federal program. The students say that immigration consultants have deliberately misled them, that the school itself has not been upfront, and the federal government website for the program was unclear. "These students will be graduating and their hope is to get that open work permit but that's not going to happen," said Marco Luciano, from Migrante Alberta. "With these 80 students, a lot of them have indicated they can't go back home … they will stay, they will be here, trying to live and trying to survive, under the radar." Luciano said that as rules have changed for how long temporary foreign workers can stay in Canada — and as fewer are accepted into the country — people have started looking at the international student stream as a way to gain permanent residency. 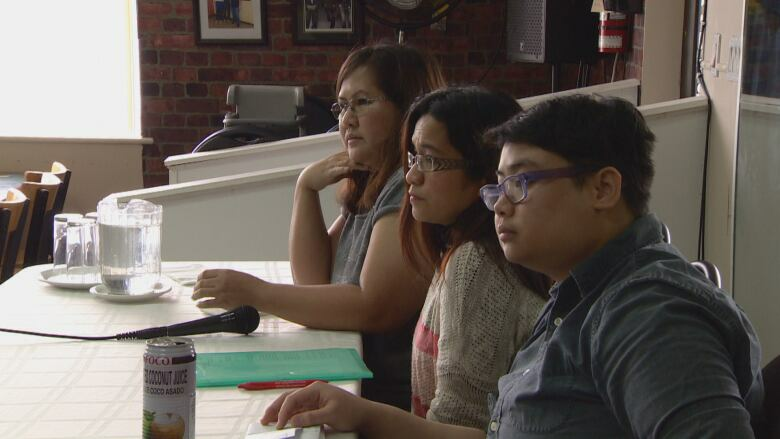 Edeline Agoncillo came to Canada in 2014 as a temporary foreign worker, but after a year she started looking for ways to stay in Canada. She said an immigration consultant advised her to apply to Solomon College in Edmonton, in the hospitality management program. Agoncillo said the agent tried to make the process "sound easy," and she would get a post-graduate work permit after two years. She took out loans against her property, and her parents' property, in the Philippines to pay the several thousands of dollars in tuition fees and consultant fees. "This is my great dream to set foot in (Canada)," she said. "The mentality was, 'We know the rules'... I gave my agent my full trust." Another student, Nataliia Iashnikova, said she and her family arrived in Canada from Ukraine in 2014 as visitors. Her mother is a resident here, but could not afford to sponsor Iashnikova's family of five, including her three school-aged children. Iashnikova said she researched the post-graduate work permit and the federal government's website stated a student could be eligible after completing a two-year program. But after she enrolled at Solomon College, a friend, who is a lawyer, told her the college was not eligible for that work permit. Iashnikova said Solomon College staff told her that the work permit would depend on her class work and that students would "be OK."
"Of course we feel very angry now. Not very angry, more sad, because I don't know what will happen with my children then. Because no one wants to go to Ukraine." In recent weeks, the federal government's website has been updated with a visible warning that not all schools that accept foreign students are eligible for the post-graduate work program, said Luciano. Other students have said Solomon College was vague when students asked about their eligibility for the federal program. Ben Lau, the college's program manager, acknowledged there has been a surge in students in the college's hospitality program in the past year. "We have had students who have successfully got it. That's why we believe that this is possible," Lau said. "We never promise anything, but we told them we have students getting the post-graduate work permit before. But it's not our authority to say yes or no, so I always refer them to Immigration, Refugees, and Citizenship Canada and ask them to check whether they're eligible or not." Lau said the school's only role is to "provide training and the education program for the students. We cannot promise anything to the students, after they graduate from this program, if they can stay or not. That's why we never ask the government if they're able to stay after the graduation or not." Migrante Alberta has approached Liberal MP Amarjeet Sohi about the dozens of students who feel they have been misled. Many are still enrolled in the college program, and their student visas remain valid. While the post-graduate work permit is a federal government program, the provincial government designates which schools and programs are eligible. "Eligible programs include degree, diploma, and certificate programs at publicly-funded post-secondary institutions, and Ministry-approved degree programs at private institutions," wrote Samanth Power, from the ministry of Advanced Education, in an emailed statement. She said there are currently no ministry-approved degree programs at private institutions that are eligible for the program. "This has been widely communicated with private career colleges and many student inquirers for several years, and no changes to the federal program have been made," she wrote.